More is better. We have observed that 76% of our users subscribe to two or more streaming services, with Netflix leading the way at 95%, Amazon at 68%, HBO at 55%, and Hulu at 51%. While Netflix subscriptions clearly dominate among our users, the numbers suggest that, for the vast majority of users, it does not stand alone as a viable replacement for cable TV. Our users demand a breadth of high-quality content found via the aggregation of multiple service offerings. Game of Thrones, Stranger Things, Transparent, and The Mindy Project — what do these crowd-favorites all have in common? New episodes premiere exclusively on one service — HBO, Netflix, Amazon Prime, and Hulu, respectively. At MightyTV, our users have a large appetite for exclusive content. This is not coincidental. The major streaming services are investing a great deal of resources into creating and maintaining original content. For example, Amazon, HBO and Netflix are estimated to have each spent between $1–3 billion on original content this year. The payoff? Superfans of each title only have one point of access to their favorite media. It’s a major gamble, but it has proved to be quite successful over the past few years, as the number of Netflix subscribers citing original programming as a major factor of their continued membership rose from 34% last year to 45% this year. So successful in fact that certain analysts have predicted that Netflix will allocate a majority of its content budget to exclusive originals by 2019. This represents a marked change in focus for the company and one that our data suggests is appropriate. We have observed that an overwhelming majority of our user’s watchlists are stocked with exclusive original content over multiple services. IS TOO MUCH CHOICE A BAD THING? It is clear from the observations mentioned above that most of our users currently rely on multiple streaming services. This reliance will only intensify as individual services focus on producing outstanding original content. The addition of each new streaming-service subscription results in an explosion of potential viewing options. While it may seem like more choice must be a good thing, The Paradox of Choice suggests that it is often paralyzing in reality. How does one choose anything from such an overwhelming array of content? Search has its place for a user that knows exactly what they are looking for, but we have seen that users of our app discover new content much more often than directly searching for something specific. Each content catalog is completely dynamic: constantly growing and contracting as new titles are added and old ones removed. These factors contribute to an already dizzying set of choices for the streaming consumer. Given this landscape, the discovery process has to be efficient, effective and fun for it to work. This is why providing the best personalized recommendations is so important to us. It allows us to embolden our users to transcend the paralyzation resulting from the Paradox of Choice. We know that our users love to swipe. It’s easy, it’s fun, and it’s quick. Swiping is a frictionless method that provides a wide range of intent and information on a given subject to our recommendation algorithms. With a constantly changing catalog of over 30,000 titles in MightyTV, it’s essential for these algorithms to quickly adapt to a user’s preferences in order to separate the wheat from the chaff. Consequently, it’s important for us to be able to measure how well our recommendation algorithms are working towards our ultimate goal: helping our users find what they want to watch as quickly as possible. So, what does the data tell us? 20 swipes. That’s all it takes for the average MightyTV user to find something to add to their watchlist. At an average of 3 seconds per swipe, that means our users spend about a minute looking for something to watch. Compare that to the 19 minutes it takes on average for users who rely on the search and browse functionality in their favorite streaming service. Given the variety of the unique tastes and preferences of our users, one would expect every title in the catalog to have at least a few potential fans. It’s our job to match each title to its future fan-base. The fact that our users are finding things to watch within a minute of opening or app shows that we are surfacing content to users that they’ll love, but we are also interested in making sure no content gets left behind in this process. Our data analysis showed that 99% of our catalog had been rated by our users within the first month of launch and this type of behavior continues to this day. This coverage was attained with less than 300 swipes from each user. As our user base continues to grow, we have obtained a significant amount of rating data for every single title in our catalog. This helps us to continue to enhance and refine our recommendation algorithms as well as provides us with a broader picture of streaming consumer behavior. We created MightyTV because we believed there was a strong need for a platform that could both erase the boundaries between streaming service providers and make personalized recommendations to each user quickly. Our data analysis confirmed our beliefs: consumers are most likely to seek out exclusive, premium content over multiple services and are able to find that content using a simple swipe interface thanks to our hyper-personalized recommendations. 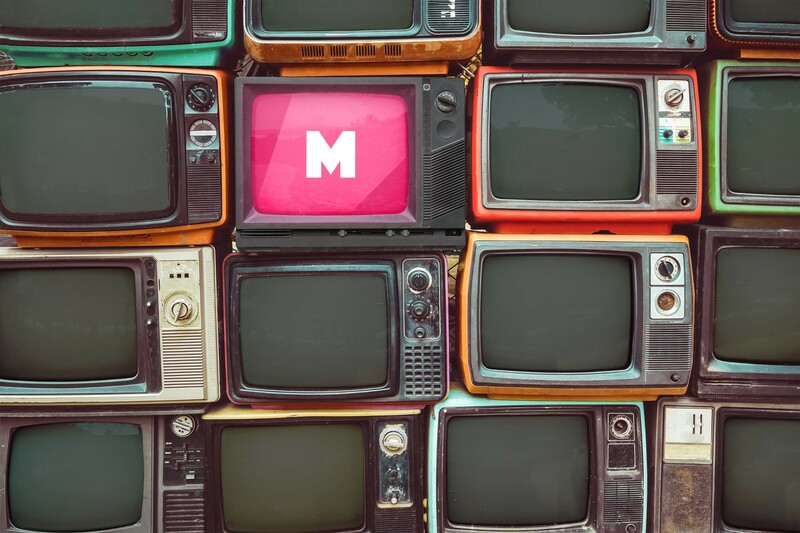 By satisfying our users’ desires to discover cool, new content as quickly as possible and making sure that they have potential access to every title over all of their streaming services, MightyTV provides a vast array of choice in an easily digestible manner. So when it comes to finding something to stream, if you try sometimes you just might find you get what you want after all. Discover TV & movies you love with the help of cutting edge A.l. and your trusted friends. Filter by price and service. Download MightyTV for iPhone!